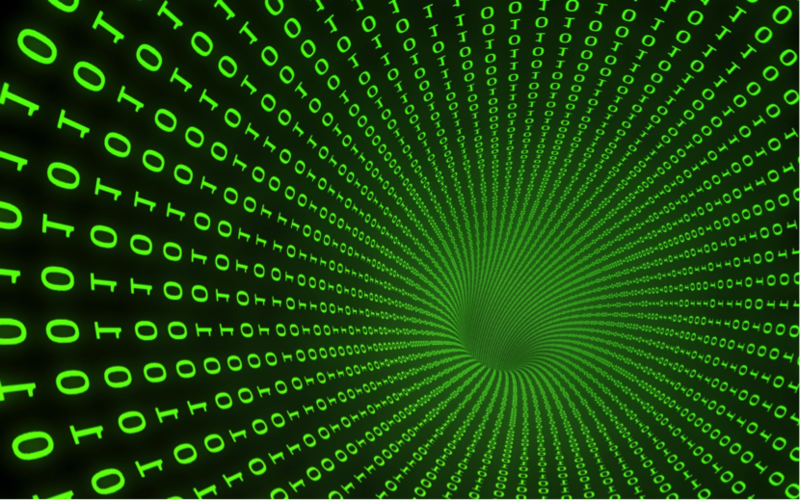 Matrix, the one with numbers, arranged with rows and columns, is extremely useful in most scientific fields. 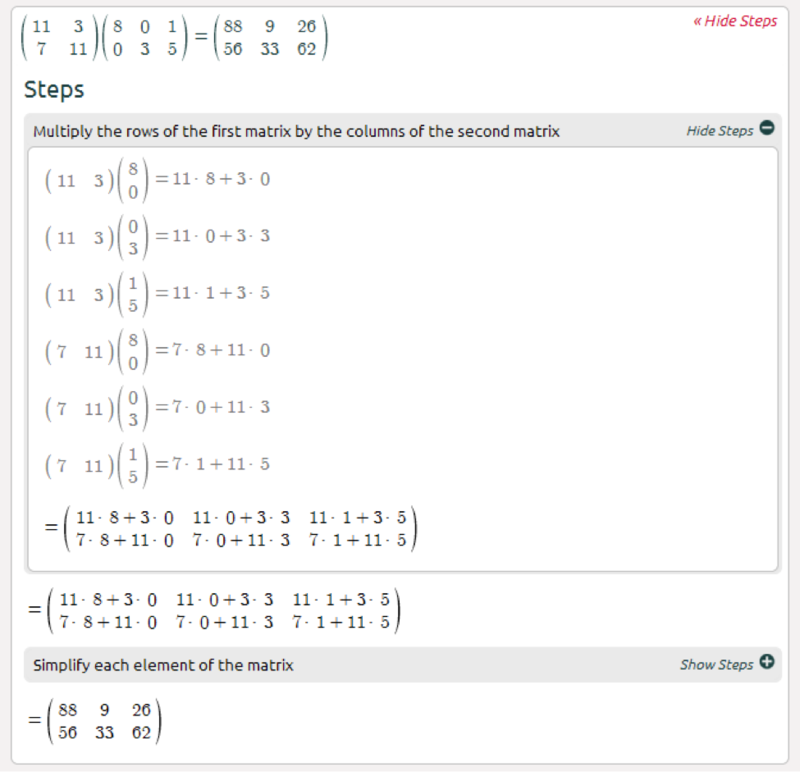 There are a number of basic operations that can be applied to modify matrices such as matrix addition, scalar multiplication, matrix multiplication and transposition. Solving matrices is not that bad once you get the hang of it, but, the larger the matrix the more tedious the calculation becomes. Tedious? not quite, let’s jump in and see how Symbolab can help you solve matrices. 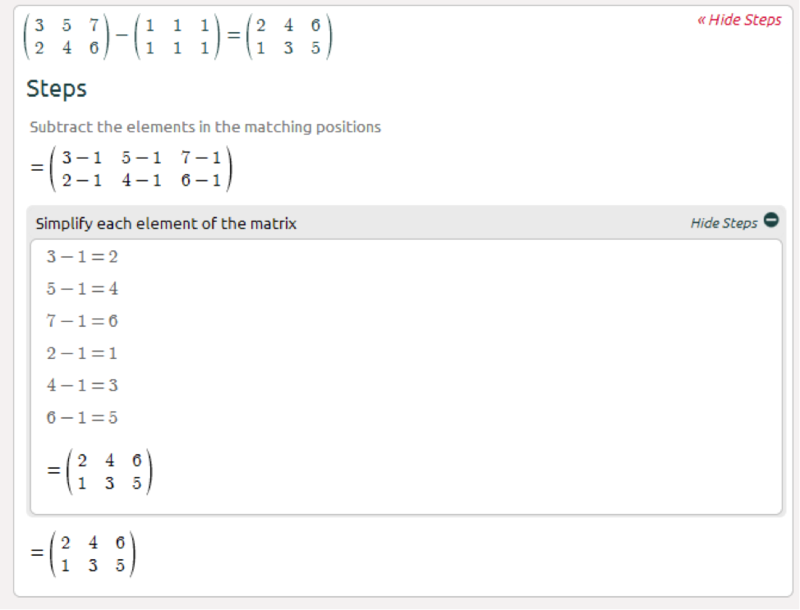 Matrices of the same size can be added or subtracted element by element. Two matrices can be multiplied only when the number of columns in the first equals the number of rows in the second. If A is an m-by-n matrix and B is an n-by-p matrix, then their matrix product AB is the m-by-p matrix whose entries are given by dot product of the corresponding row of A and the corresponding column of B.
Matrix takes practice, click here to start. Amazing work done by your software, in other words your team, I wonder if we can enter a matrix with the row and/or lines more than 10? If yes, how should we do it? 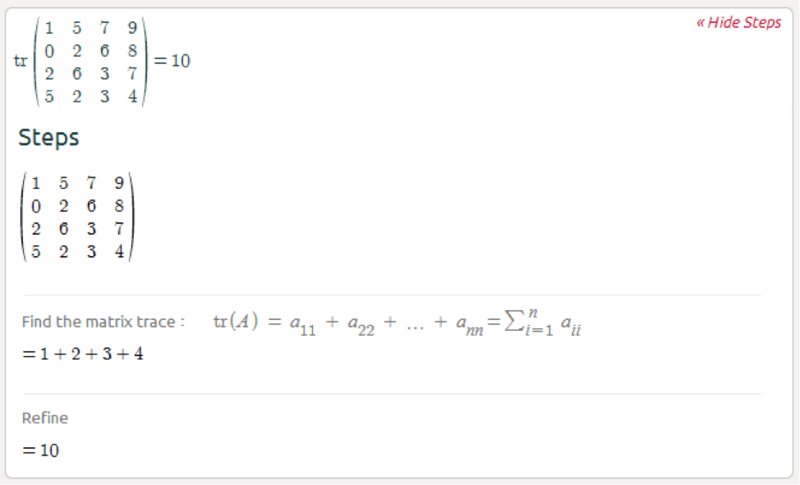 The website seems to limit the order to the matrix to 10x10. such a nice and informative guide. It was really helpful for me.